The definition of torture has become somewhat fuzzy in the post-9/11 world. According to the United Nations 1984 Convention on Torture, which was ratified by more than 150 nations, the practice of torture involves “the infliction of severe physical or mental pain or suffering.” In other words, whether or not a specific technique constitutes torture is determined by the level of pain it produces. But how good are we at estimating the amount of agony a particular action will produce? Newly published research suggests the answer is: not good at all. According to a research team led by Loran Nordgren of Northwestern University’s Kellogg School of Management, people habitually underestimate how severe interrogation-induced pain will be — unless they are experiencing some mild version of it themselves. Nordgren and his colleagues describe four experiments that lead them to this conclusion. In each case, participants who were experiencing (or had just experienced) a mild dose of the torture methods in question were more likely to describe it as unethical. The first experiment featured 88 undergraduates, some of whom were manipulated to feel a sense of social exclusion. (They played an online ball-toss game, which was rigged in such a way they would seldom receive the ball.) Sixty-three percent of those participants opposed the use of prolonged solitary confinement, compared to 33 percent of those who received the ball more often and 36 percent of those who didn’t play the game. To study attitudes toward sleep deprivation, the researchers conducted a field test using 109 part-time students taking night classes toward their MBA. Most arrived at class following a full day of work. The researchers tested half of them when the class began at 6 p.m. — a point at which they felt relatively fresh — and the other half at 9 p.m., when they were far more fatigued. In the experiment, participants reacted to news of an interrogation session in which a suspect was deprived of sleep for 48 hours. The fatigued 9 p.m. group judged the technique to be both more painful and more unethical compared to their better-rested classmates. In the third experiment, 73 students were asked to judge the acceptability of a technique in which a detainee is kept in a near-freezing room for up to five hours at a time with little clothing. One-third answered the questionnaire while holding their arm in a bucket of ice water. Another third did so while holding their arm in warm water. The final third also had their arm in ice water, but waited 10 minutes before filling out the questionnaire. Those experiencing painful cold in the moment were more likely to judge the technique as torture than those in the other two groups — including the one which had experienced the frigid water just minutes earlier. Their increased empathy for someone who was feeling cold apparently evaporated during the 10-minute gap. Clearly, the participants who were feeling pain were less inclined to inflict similar pain on others. 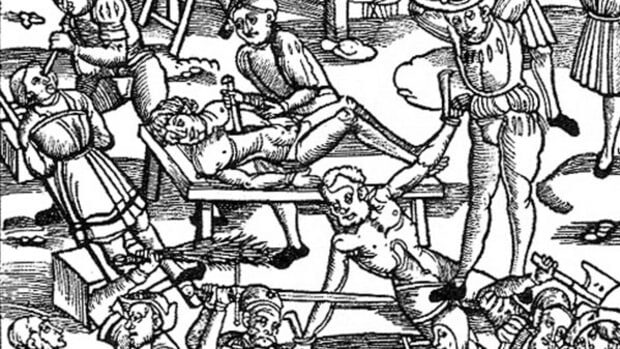 But were their estimates of the pain these torture methods produce truly more accurate? The fourth and final experiment suggests they were. Of necessity, it focused on a less-severe method of interrogation. Those with their hand in cold water and those who were actually standing in the cold “did not differ in pain-severity ratings.” This suggests the hand-immersion technique successfully replicated the level of pain elicited by the interrogation technique. Meanwhile, the Daily Beast is reporting on a new study by the American Red Cross, which finds almost 60 percent of American teenagers feel techniques such as water-boarding or sleep deprivation are sometimes acceptable. It’s easy to reassure ourselves, and evade moral responsibility, by believing such methods as sleep deprivation and exposure to excessive heat or cold (techniques supported by 66 and 40 percent of American public, respectively, in a 2004 poll) don’t produce enough pain to constitute torture. But Nordgren’s research suggests this belief is the product of self-delusion. The truth, after all, hurts. So does torture.